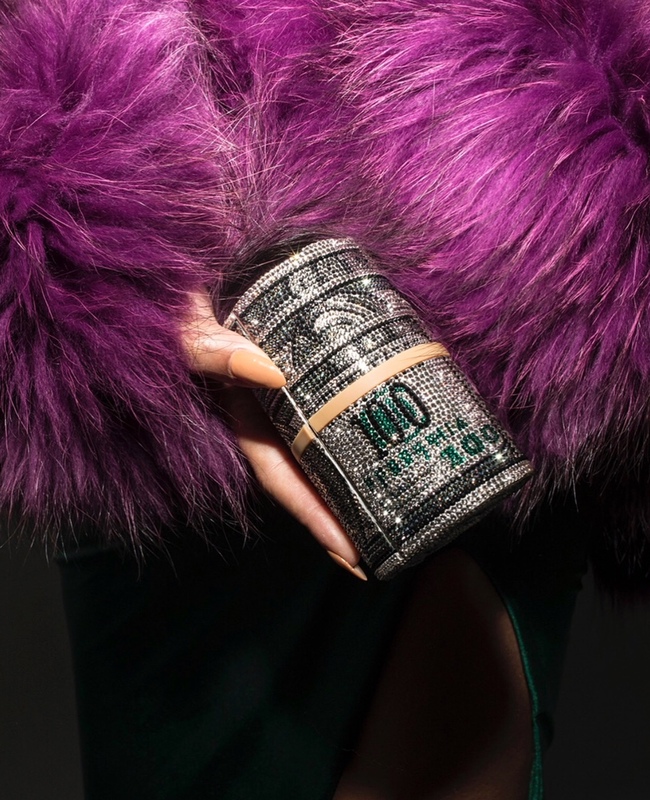 Beyoncé looks amazing in a forest green dress and royal purple fur(faux fur?) item! 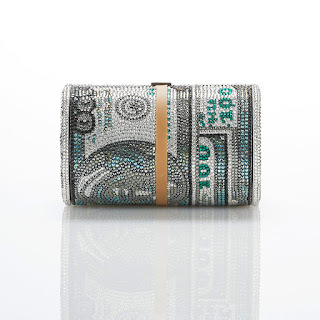 And the banded, money roll clutch is a creative and stylish asset. 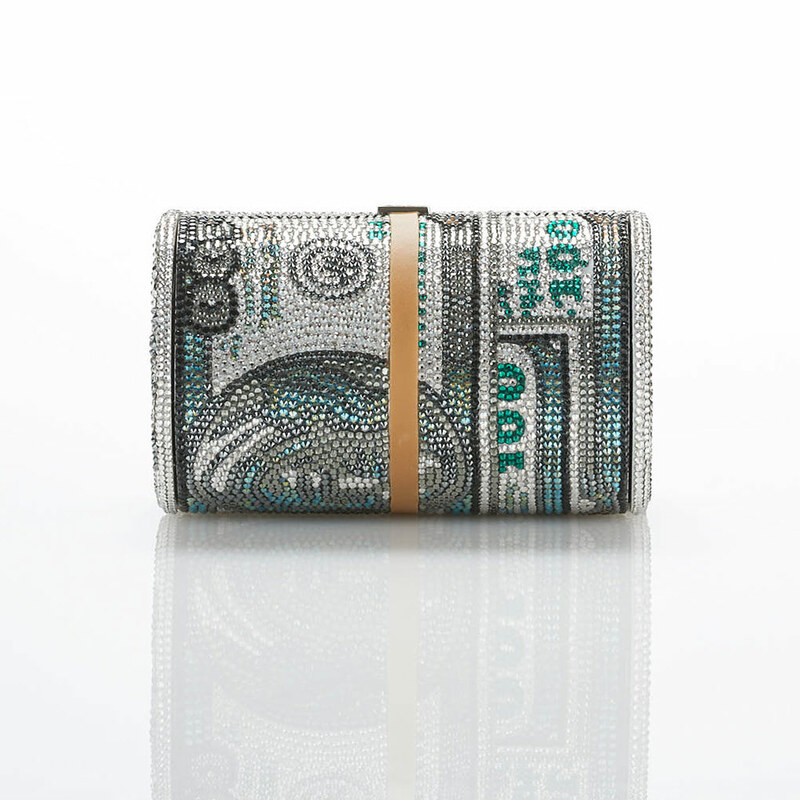 The Alexander Wang x Judith Leiber clutch has 10,263 swarovski crystals and will be sold for $4,995. The clutch will be made available to the public in a limited quantity beginning in November. If you'd like to purchase you can do so at the Alexander Wang New York and London stores, Saks Fifth Avenue, and online at alexanderwang.com.